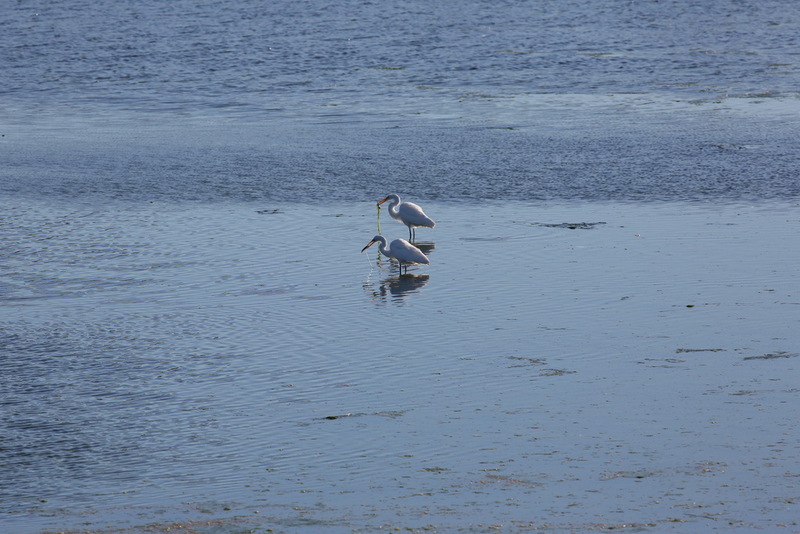 I took one hundred and fifty-five photos of two great egrets, over a five-minute period, in the Port of Gold Beach. 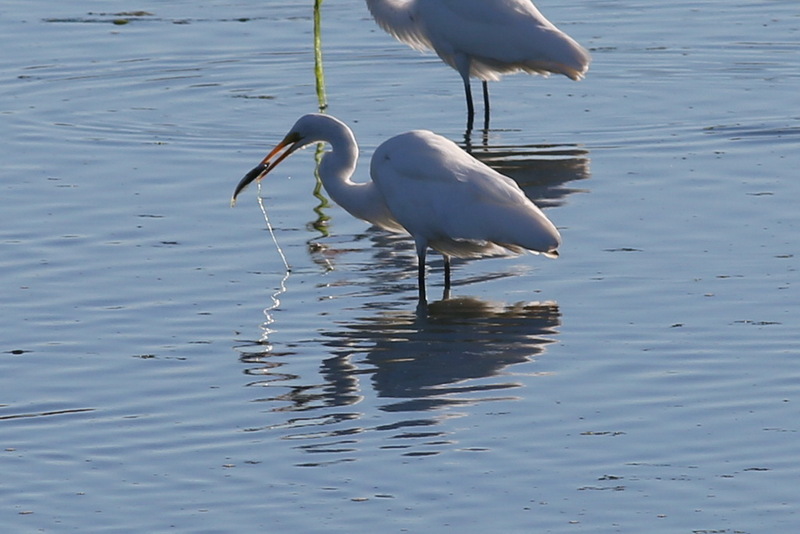 It’s the first time I could clearly see them catching fish. Besides fish, great egrets eat amphibians, small mammals and reptiles, crustaceans, insects, etc. I focused on one as it was stalking prey. 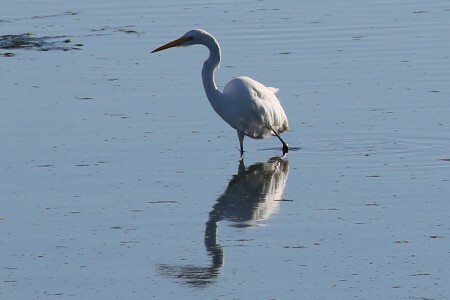 It alternately walked very slowly or stood still in the shallow water. It now just waited for something below the surface to approach. When one of the fish finally got too close, the great egret plunged its head into the water and, when it pulled it out, it had one in its bill. What I didn’t realize, until I saw this one in action, is that, once it’s caught a fish, it’ll very patiently dip it back into the water, several times, to clean it off. In this case, it was removing most of the seaweed before it ate it. This can take several minutes and several dips into the water. Then it’ll turn the fish in its bill so it can swallow it whole, head first. Unfortunately, I missed the shot where it swallowed the fish. That silvery filament, in the next-to-last shot, that looks like fishing line, is thin strands of seaweed with water running down them. 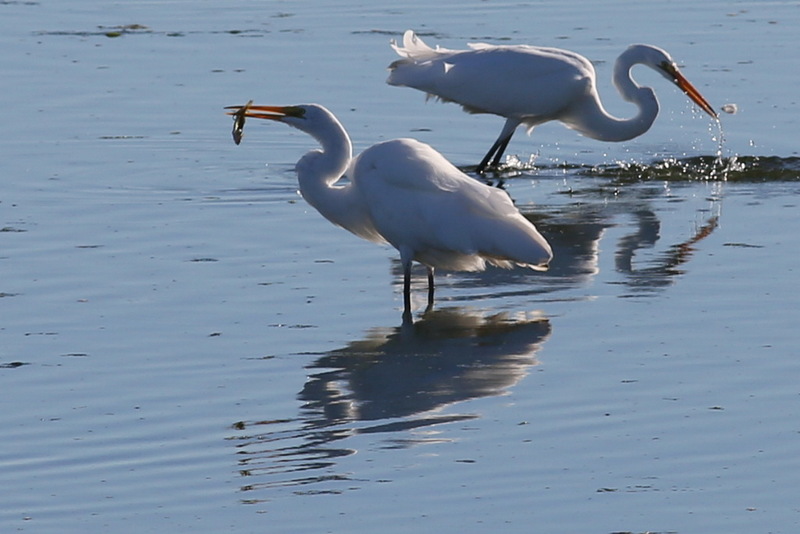 In the fifth photo, you can see the great egret in the background trying to catch something. 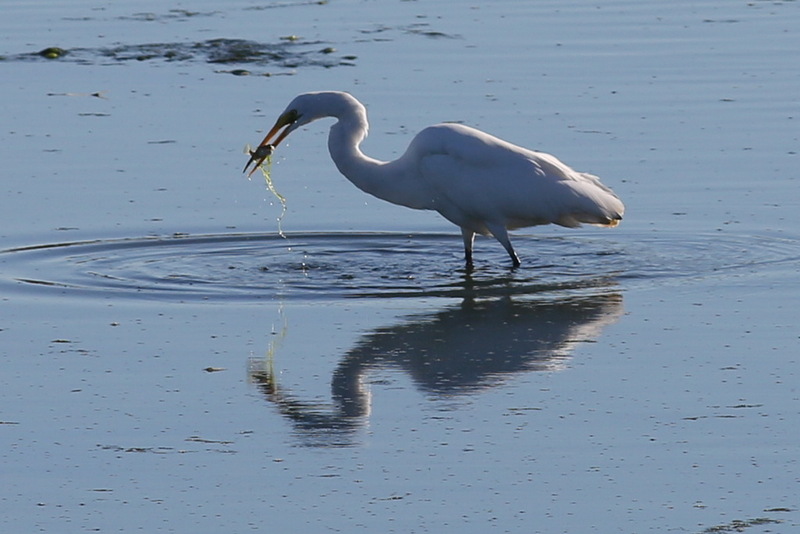 In the sixth photo, you can see just the seaweed hanging off a fish it had caught. 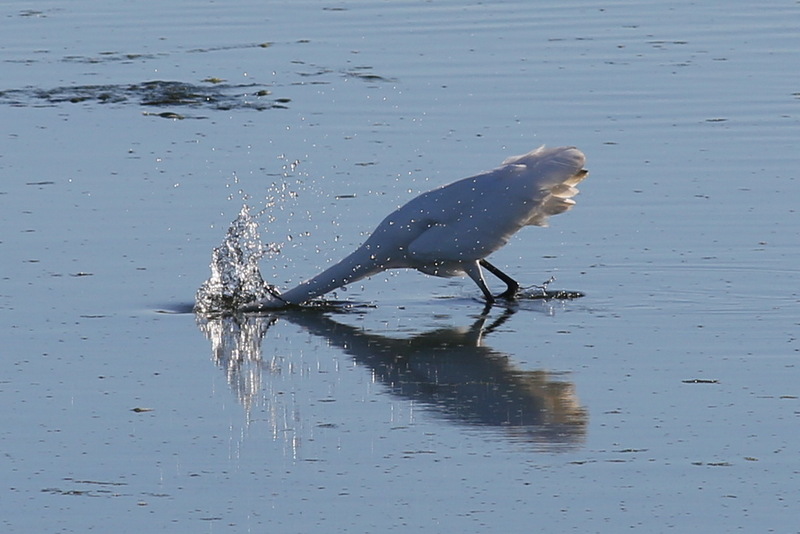 I almost missed this shot because it struck so quickly. It’s about to clean off its catch. 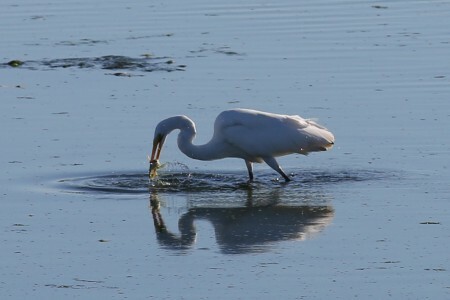 It will dip its catch back into the water, several times, until it’s satisfied the catch is clean. 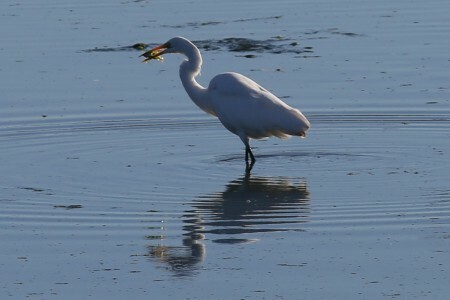 While it’s getting ready to swallow, its companion, in the background, is making its own catch. 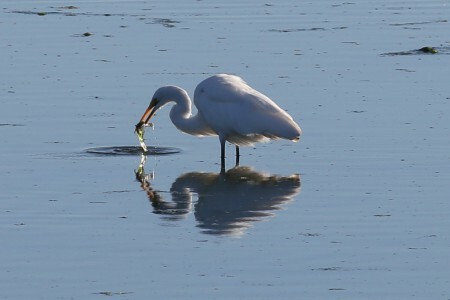 While it’s turning it’s catch to swallow it head-first, its companion has a mass of seaweed hanging from its own catch and will have to deal with it. 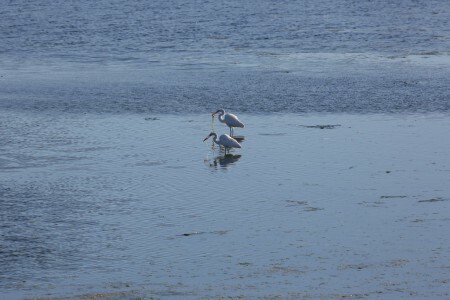 This is the full-frame photo of the cropped image above. I just thought you should see what I was seeing. 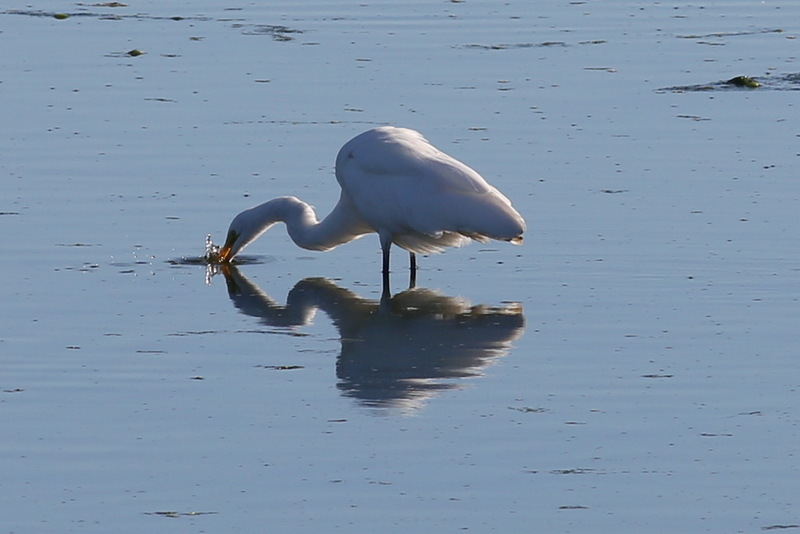 This entry was posted on Monday, September 2nd, 2013 at 6:00 am	and is filed under Great egrets, Great egrets hunting. You can follow any responses to this entry through the RSS 2.0 feed. Both comments and pings are currently closed.